Newly appointed US Environmental Protection Agency head Scott Pruitt’s emails between himself and the fossil fuel industry have been released. The emails revealed cozy relationships with lobbyists. 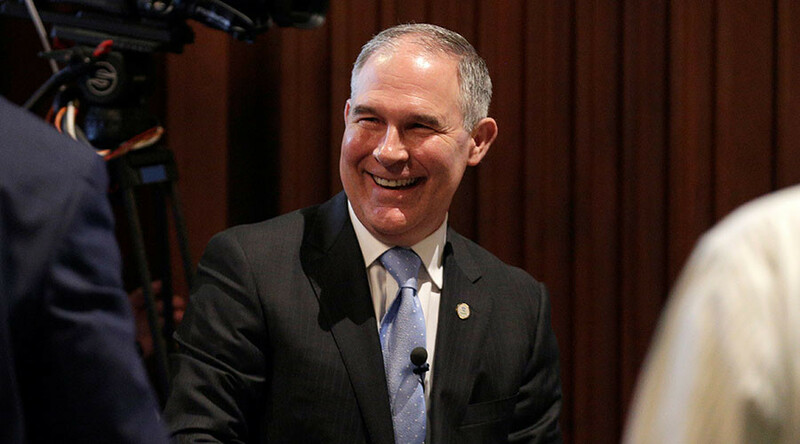 Emails released after Scott Pruitt’s appointment as EPA chief reveal that his rapport with fossil fuel firms and electric utilities was “friendly” while working as Oklahoma’s attorney general. The emails were withheld during Pruitt’s EPA confirmation hearing by the state attorney general’s office, which on Wednesday turned over 7,500 pages of emails to the Center for Media and Democracy (CMD). In a 2013 email from the deputy solicitor general, advice was sought over a letter from representatives at Devon Energy, an oil and natural gas exploration and production company, that was directed to the EPA, regarding proposed regulations of methane emissions. Pruitt’s office also coordinated with oil and gas lobby group American Fuel & Petrochemical Manufacturers (AFPM) in 2013 to oppose regulations on ozone limits and the Renewable Fuel Standard Program. The emails also reveal that Pruitt was a sought-after speaker for the fossil fuel industry. The event’s reception was hosted by the Petroleum Club and a luncheon sponsored by Koch Industries, the Washington Post reported.